Dharma Devi ~ Dana DeLong has been involved in the Global Breathwork Community for over 40 years as a Certified Clarity Breathwork Trainer and Practitioner, inspirational spiritual teacher and guide. She travels the world, sharing the power of Clarity Breathwork~ Sacred Breath & Embodiment- A feminine form of Breathwork that is lead with gentle compassion and deep presence. She is also certified by ARTI (Association of Rebirthers and Trainers Int’l. ), and the former LRT (Loving Relationships Training) as well as Condor Blanco in Chile-a holistic and ecological mystery school. 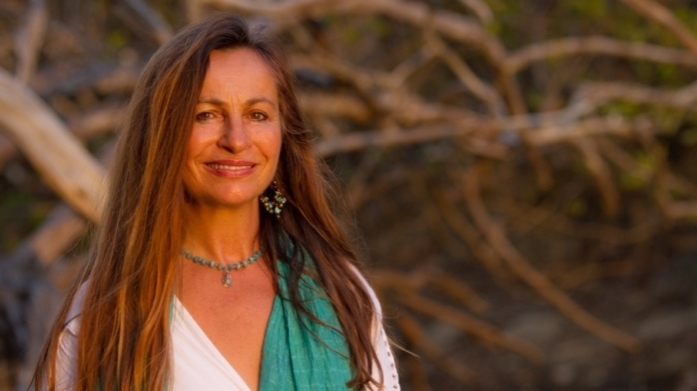 She is the co-founder of Clarity Breathwork & Clarity Productions, producing seminars, retreats and musical events around the globe, including many treks to India to immerse in the Divine Mother Festival.